If one of your close friends or family members has found themselves in police custody, you may want to look into bail bonds to secure their release. A bail bond company serving Maryland can allow you to leave custody so that you can spend your time at home and in comfort until you are summoned back to court. It helps to understand how a bail bondsman’s job works and what you can do to help the process along before you make the call. It is a bail bondsman’s job to offer the court a bond and have you released from custody. These bond agents typically charge a percentage of the total bail amount, which is called a premium. When an individual pays the bondsman the premium the bondsman will offer the court a bond, which serves as a promise that the person will return for any future court dates. Although the bail bondsman will not return the premium, the bond itself may be dissolved at the end of the case as long as you return for each court date. In the event that you do not return for your court dates, the bondsman or the cosigner will be responsible for the total bail amount. It helps to be as organized as possible when working with your bail bondsman. Offer your bondsman as much of your personal information as could be helpful, and be sure to mention character references who can vouch for you. You may also have to offer your bondsman collateral in addition to your premium to secure the bond for yourself or a loved one. 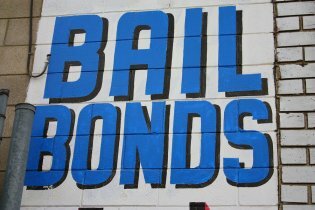 People typically need bail bonds when they cannot afford to pay the bail set by the court. Waiting for your court date in custody can be a stressful experience, so it is often worth the premium to negotiate a deal with a bail bond company. The detained individual or his or her family or friends may hire a bondsman. A bonding company near Maryland can help you get a family member or friend released from jail, even if the bail amount is much higher than you think you can afford. 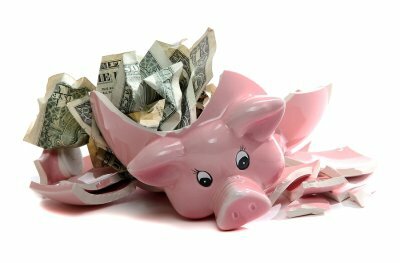 Surety bail bonds, backed by surety companies, allow bondsmen to post bail for amounts much higher than the amount of cash an average person can obtain on short notice. Legally, you always have the option to pay the full amount of bail in cash. If the crime that your loved one stands accused of committing is relatively minor, you may be able to afford to post bail in cash. However, this does not happen very often in practice—if the offense is minor and your loved one has no criminal history, he or she may simply be released “on personal recognizance,” which mean release without bail. Most jurisdictions will accept property, such as the deed to a house or apartment, as a bond. However, posting property as bond for yourself or your loved one is a very risky course of action. Should the defendant violate the terms of bail in any way, the court can foreclose on the property to recover the bail money, causing financial ruin for you and your family. If it is beyond your means to pay the set bail in cash, as is often the case, your safest course of action is to contact a bail bond agent with an established bail bond company. For a small fee (around 10% of the total value of the bond) a bond agent can post bail to release your loved one from jail. A bondsman has a relationship with a special type of surety insurance company, which allows him or her to post surety bonds. The surety bond is essentially a promise: If the defendant does not attend his or her assigned court date, the bondsman will pay the full amount of bail.